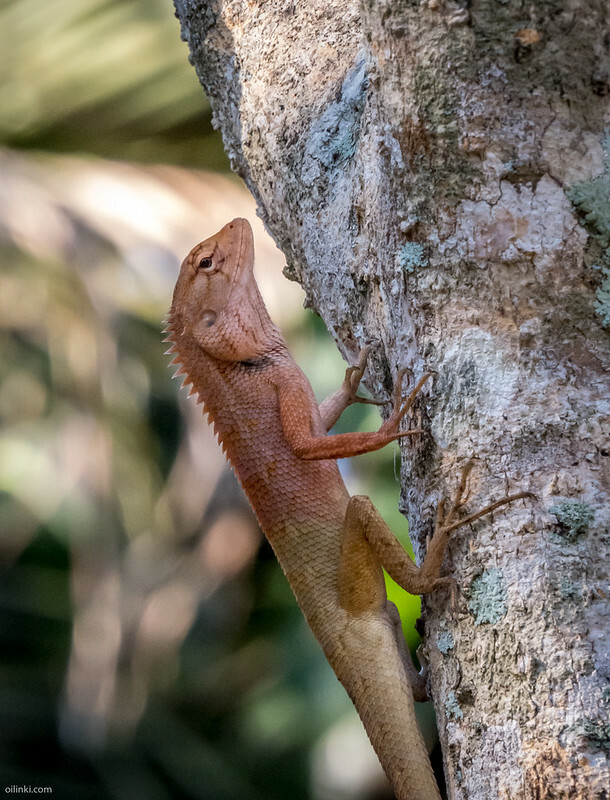 Oriental garden lizard (Calotes versicolor) is commonly seen in Thailand. 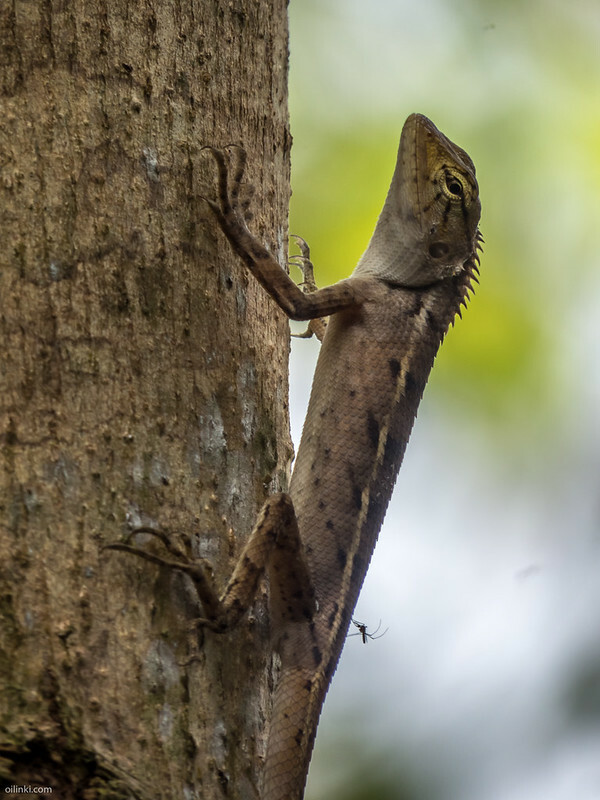 These slim body lizards are expert climbers and can be seen both on ground as well as on trees. This is Oriental garden lizard male, which is ready to mate. It's neck and upper body turn into red when it's in heat. 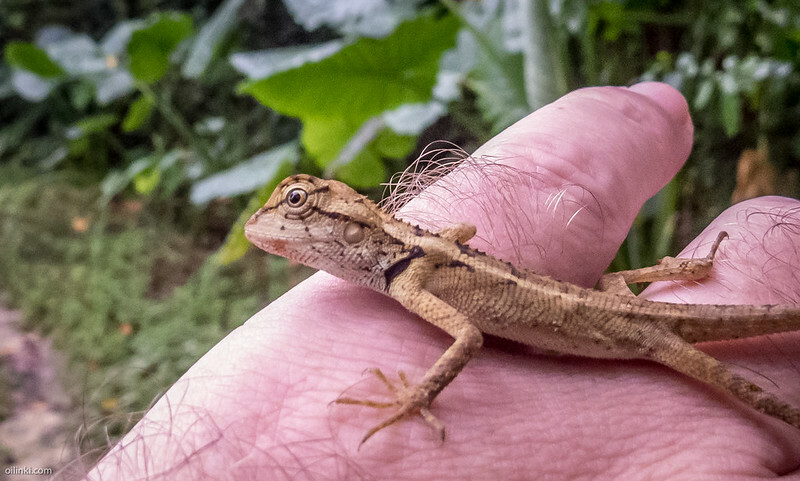 This baby lizard was a bit confused in my garden and didn't run away so it was easy to pick up.